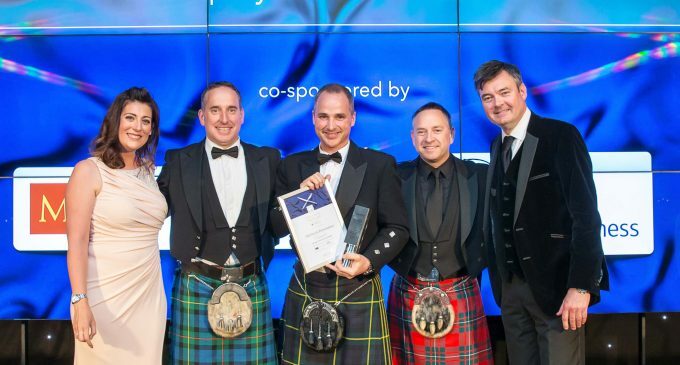 John Forteith, Head of Business Development at Bidvest Foodservice Scotland has won the coveted ‘Employee of the Year Award’ at the CIS Excellence Awards. With a foodservice career spanning more than 30 years, John (pictured centre, with Brian Hay Smith from co-sponsor Mazars on the left, and Stephen MacGregor from co-sponsor RBS) joined Bidvest Foodservice Scotland in 2012. Since then he has championed collaboration with local Scottish suppliers, customers and stakeholders across the industry. Jon Mack, General Manager for Bidvest Foodservice Scotland said: ‘It’s important that we work in partnership with customers to make it easier for them to stock the products they are looking for. Identifying the individual who most deserves to be recognised for their contribution to both their role and employer, the Employee of the Year Award is the pinnacle of the CIS Excellence Awards’ staff-related recognition. The CIS Excellence Awards took place at the Hilton Glasgow on Thursday, 26th May. Visit www.cis-excellenceawards.com/previous-winners/2016-winners/ to view photos and winners’ info from this year’s event.